Agilent Technologies has announced the release of the new Agilent V3500A Handheld RF Power Meters, the latest addition to its industry-leading range of power meters and power sensors. 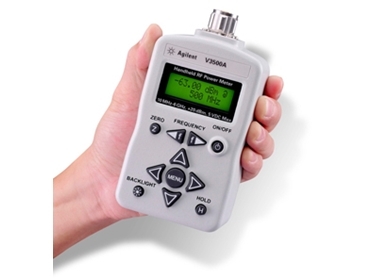 The palm-sized V3500A is the first handheld power meter from Agilent. The meter includes a built-in display and integrated power sensor. The meter is an ideal and affordable power measurement solution for installation and maintenance environments, as well as for the R&D lab. The V3500A is packed with essential average power measurement capabilities, which provides good repeatability and accurate measurements. The power meters simplify field tasks and provides typical power measurements while ensuring lower startup costs.